2016 February 29th will be a date to save for the futur of the Polish motorsport. It's on this day that the RacingForPoland Academy is born confirming it's partnership with the famous formation center: the Campos Academy. The Campos Academy, which is now represented by Rio Haryanto in Formula 1, is the place where the professional racing drivers come and which have their future at the highest level. 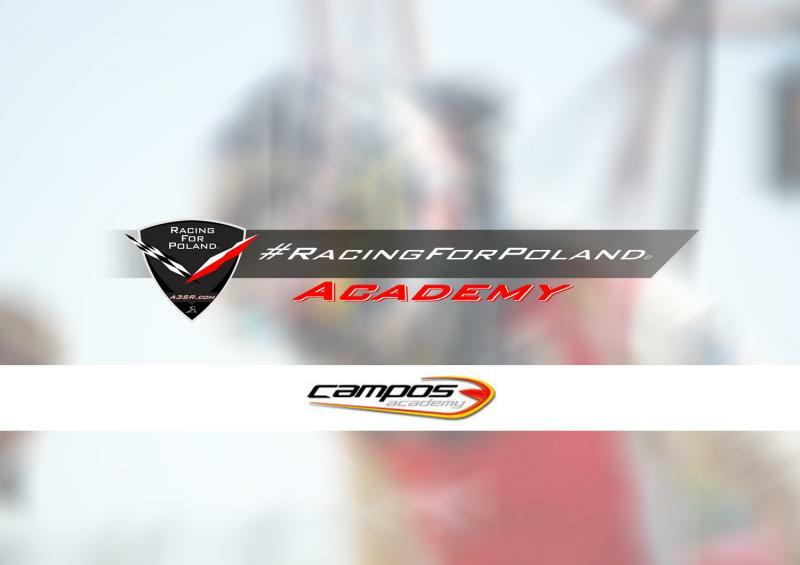 The RacingForPoland Academy will give the chance to the Polish racing drivers to access to that elite and be tested and formed with all the benefits of the exceptional knowledge of the Campos Academy and last generation simulator. The technical part provided by GP2 and GP3 ingeneers will get the opportunity to understand how a racing car works. Drivers have the possibility to train on simulators to upgrade their feeling, learn new tracks and get the best from a new set of tyres. It is what was lacking to Polish drivers to help them to build a career in international motorsport. In that way, we will propose track formations by the RacingForPoland Academy. "In 2013, I integrated the Virage Academy, now Campos Academy and it's an honor to confirm this partnership for Poland. So, it's the most serious way to start RacingForPoland, looking for the best Polish drivers. That's a first one, and I'm very proud to be at the source of this adventure." "We look forward to beginning work with RacingForPoland. The project is ambitious, and we believe that, with the necessary preparation the best Polish pilots will get a place on the international motorsport."